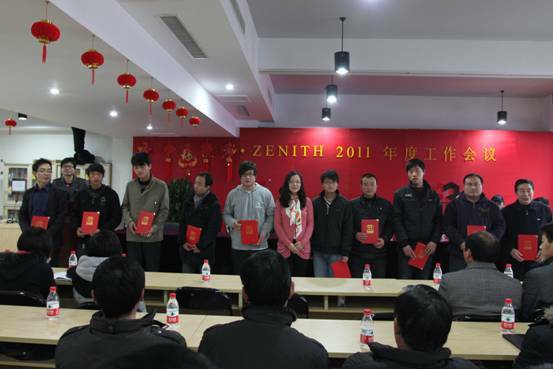 "March 27, 2011, as planned, today I visit manager Ouyang, all the equipment are operate normal. During return visit, Ouyang frequently mentioned the company's technician Shen. Shen not only have good technology, but also have particularly good service attitude. Manager Ouyang is just switch to this industry for a few years. He said thanks technician Shen for him long time help. Regardless of equipment operation or their own operating problems, as long as proposed, Shen always responses at the first time and resolve them as soon as possible... "
"April 12, 2011, client Mr. Liu will test machine today, I and technician Shen arrived to customer site in early morning, but there is an unusual situation in operation. Customers are very angry, accusing us of equipment problems. Shen immediately check the machine for a whole body, and soon discovered the problem. It is because the customer did not purchase the oil in accordance with the standard type. After change the new oil, the machine is operating normally. Before leaving, Mr. Liu sincerely hope Shen can stay there. ... "
The above words are come from Shanghai Shibang Hunan office employee Xiao Huang's work logs. But only in the first half of 2011, Xiao Huang's work log have mentioned Shanghai shibang's engineer Shen for many times which up to 12 times. When we interview technician Shen by telephone, that time he is commissioning the machine at Guangxi customer site. " I have done this for 10 years, in fact, there have no skills, solid technology, communication in good faith, safeguard the interests of customers, enabling customers to achieve win-win situation with the company, this is my own work."